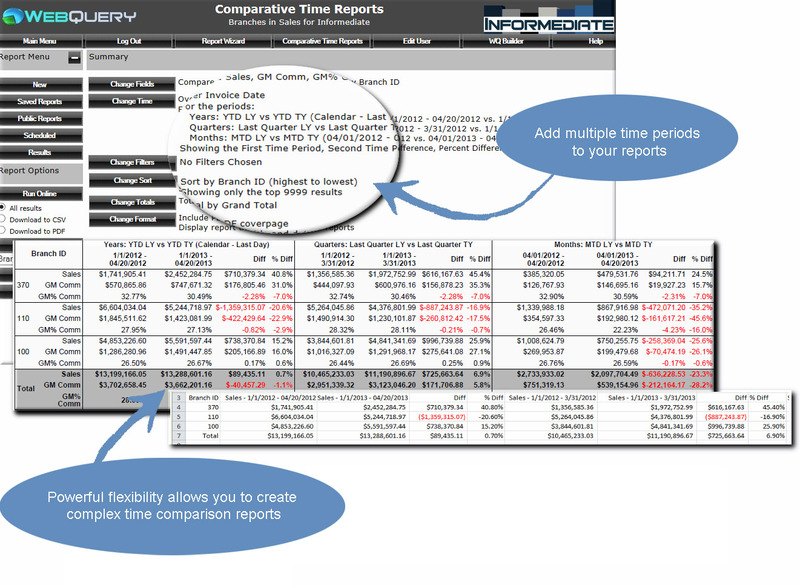 Quickly create, publish and schedule custom reports in seconds. Compare that to the many hours or days to do the equivalent with other popular report writers. Informediate offers "rapid turn key" WebQuery deployment integration templates for some of the leading wholesale distribution packages available today. No technical ability required! End users can create and schedule production reports with as little as one hour of training or less. Save time and money by taking the load off your IT staff. Give people the power to create and schedule their own content without having to become IT experts. Simple back-end interface allows WebQuery to be personalized for your company's reporting needs with data right from your ERP. In addition, WebQuery can quickly integrate with other information repositories running on widely adopted data engines like Microsoft’s SQL Server and MySQL. WebQuery contains dozens of data topics and with hundreds of reportable fields allowing you to create thousands of reports right from the start. Reduce your IT reporting backlog by putting simple report creation into users' hands. WebQuery is so simple to use! If you can surf the internet you can create your own reports. 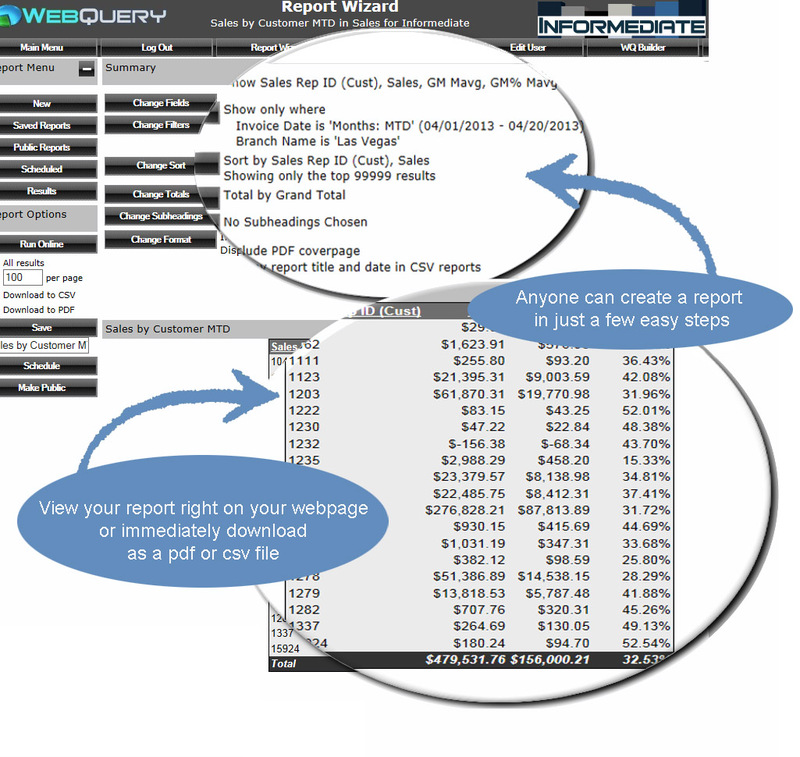 Create reports so quickly you will wonder how you ever lived without WebQuery! Don't be limited to a minimum number of 'pre-defined' reports. WebQuery allows you to evaluate the data you want to see, across multiple time periods, in seconds! Evaluate individual product groups, vendors, items, sales reps, branches and more or evaluate them all together. The choice is yours. Schedule a demo to see how quickly you can create, publish and schedule reports in seconds.